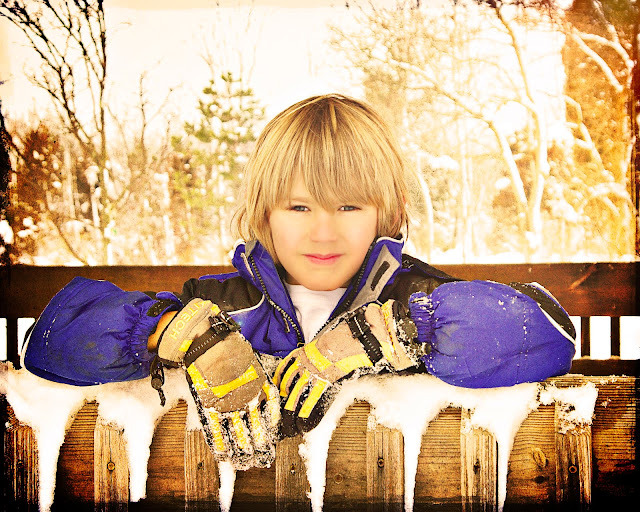 This week's theme at I Heart Faces is Bundle Up! Since I'm such a stinkin' wimp and don't like the cold I have very few shots when snow is involved! Check out I Heart Faces to see all the great entries and join the fun yourself! oh I love your processing! very nice! great picture- love the processing. Cool pic. The Processing is great. I'm not a fan of the snow either, even though I'm forced to reckon with it 6 months out of the year. This is a great shot in spite of your aversion! Your photos are so inspiring. I love this one but I also love your header. Great work! For not liking the snow....Wow!! The Sun Kissed Action worked out so perfectly--the hue's bring just the right amount of complimentary color to the purple! Thanks for sharing the "how" behind this edit! Love the shot - and your pp is awesome!! Once again your processing is amazing!